Nick Spencer is a senior Jaguar Land Rover director who joined the CWLEP Board in 2019. Nick is an electrical engineer by profession but has enjoyed a wide ranging career in the automotive industry, beginning in product development with what later became Rover Group. 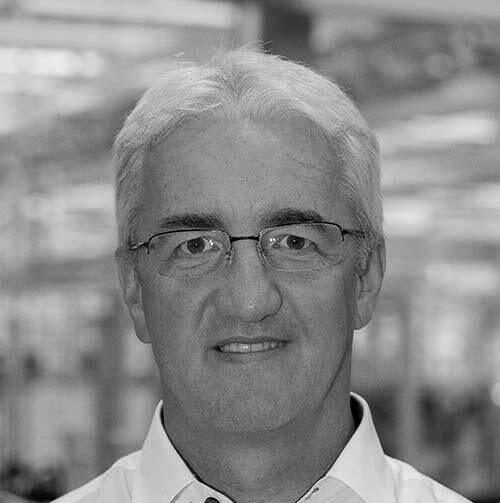 In 2000 he joined BMW in Munich, developing into senior Purchasing roles. Nick returned to the UK in 2008 to head up BMW’s UK supply chain operations before becoming Managing Director of the Hams Hall Engine Plant in North Warwickshire. In 2015 Nick joined Jaguar Land Rover with global responsibility for powertrain manufacturing, including development of the electrical powertrain manufacturing strategy. He currently has responsibility for a broad commercial remit as Director of JLR’s Non-Production Purchasing, Trading Division and Property activities. Nick was born and raised in Warwickshire and currently lives in Stratford upon Avon.